This condo located in North Quincy, less than 3 mins from 93 exit 12. 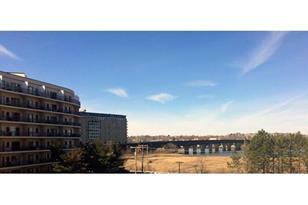 Walking distance to North Quincy T station and Marina Bay. Pergo flooring in living room/dining room. Newer kitchen with wall opening. Newer heat pump on outside balcony. 2 bedrooms, 2 baths, balcony with views of Neponset River and gorgeous sunsets. 1 Parking space underground garage #215, Plenty of parking for extra cars and guests on upper ramp. Exercise room, swimming pool and saunas/showers/toilet. 90 Quincy Shore Dr #312, Quincy, MA 02171 (MLS# 71972747) is a Condo property that was sold at $295,000 on May 25, 2016. Want to learn more about 90 Quincy Shore Dr #312? Do you have questions about finding other Condo real estate for sale in North Quincy? You can browse all North Quincy real estate or contact a Coldwell Banker agent to request more information.